WE12 Conference: November 8-10, 2012 in Houston, TX Join SWE at the WE12 conference this year at the George R. Brown Convention Center. Registration is now open, so sign-up today. 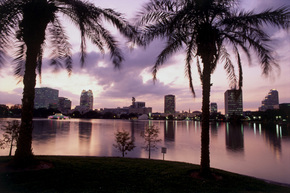 If you are interested in sharing hotel rooms with other section members, please email us at central.florida@swe.org. A Day in the Life of a Real Engineer November 29, 2012 9:30am – 2:00pm This annual event will take place at Lyman High School, and offers a way to engage high school and middle school aged students a chance to see what engineering is all about. There are also opportunities for parents to learn how they can support their student. We are looking for 7 speakers and 10 volunteers, as we are expecting 250 students from 5 schools in Seminole County. Please contact Liz at cflsweeducation@swe.org to speak, volunteer or request more information. Autumn Painting Class Fundraiser Sunday October 28, 2012 2:00pm-5:00pm Creative Canvas and Wine 155 Cranes Roost Blvd, Suite 1130, Altamonte Springs (behind World of Beers and Steak n Shake) We engineers think linearly during the week, so let’s stretch our creative muscles at our autumn fundraiser with a painting class. The class is fully led by experienced instructors, and everyone leaves with a full size painting. All materials are included, and kids are welcome to paint. The class is $35 per person, and $10 of every course fee goes to our CFL SWE Section. If you would like to attend, please contact us at central.florida@swe.org to reserve a spot, or you can go online to register at http://www.creativecanvasandwine.com/calendar.php and clicking on our event (Fall Leaves Painting). Wow! That’s Engineering October 13, 2012 8:30am – 3:00pm Bayside High School in Palm Bay The Space coast SWE Section is seeking event volunteers (module leaders, module helpers and volunteers for pre-event activities) to participate in the “Wow! That’s Engineering” Outreach program. You can come for the whole day, part of the day, or even help set-up on Friday. If you are interested, know anyone interested, or have any questions, please contact Adia Griffin, adia.griffin@gmail.com, or register at http://www.swe-sc.org/WOW/volunteers.htm. All volunteers receive a T-shirt and lunch during the event! Fall 2012 Kickoff Event! September 6, 2012 from 6:00PM to 9:00PM Cevíche Tapas Bar and Restaurant 125 W. Church Street, Orlando, FL Please join CFL SWE as we prepare for another great year. You are invited to our Fall 2012 event at Ceviche. There will be light tapas served, and happy hour drinks are available for purchase. This is sure to be a fun Flamenco –style evening. Professional and collegiate members will be $5 each, and non-members will be $10 each. We are also accepting donations to Dress for Success. To RSVP, please contact us at central.florida@swe.org. Hope to see you there! Greater Orlando Heart Walk 5K September 15, 2012 starting at 7:00AM Loch Haven Park, Orlando, FL Heart disease is one of the biggest causes of death for women in the United States. Please join us as we participate in the Greater Orlando Heart Walk presented by the American Heart Association to raise money and spread awareness. This is a free event, but donations are greatly appreciated and our team has a goal of raising $300. You can register for our team by going to the link for the CFL SWE team page here. You can also go to http://greaterorlandoheartwalk.kintera.org and search for our team name: Central Florida Society of Women Engineers. The registration will allow you to create a personal webpage for friends and family to donate online. For more information, please contact us at central.florida@swe.org. Lunchtime Networking September 21, 2012 We will be holding our networking lunches in various locations across Central Florida. Feel free to invite co-workers. Habitat for Humanity CANCELLED- The Habitat for Humanity build event scheduled for July 28, 2012 has been cancelled and will be rescheduled. Please watch for future communications regarding this event. 5/21-26 NASA is hosting its Third Annual Lunabotics Mining Competition at the Kennedy Space Center Visitor Complex May 21-26, 2012, and we hope you and members of the Society of Women Engineers Central Florida Section will join us! International competitors from more than 50 universities have created unique and innovative solutions that NASA may one day use for an actual lunar excavation device or payload. These science, technology, engineering, and mathematics (STEM) students are our future scientists, astronauts, engineers, physicists, and entrepreneurs. Visit the Kennedy Space Center Visitor Complex to marvel as the Lunabots mine “moon dirt” in a race against the clock. Follow Lunabotics on the web - www.nasa.gov/lunabotics, on Facebook - www.facebook.com/Lunabotics, and on Twitter - http://www.twitter.com/Lunabotics. For information about the Kennedy Space Center Visitor Complex and ticket prices, please visit www.kennedyspacecenter.com/index.asp. Join us in May and meet our future workforce. Visit America’s spaceport where history is made! SWEet College Day Saturday, April 14, 2012 UCF SWEet College day is an exciting event and Central Florida SWE has great opportunities to get involved. 7 volunteers are needed to discuss how engineering relates to workshops and to participate in panel discussions. For more information, contact Tamika Jones at cflsweawards@swe.org. 2/15 6pm : Professional Development Seminar entitled "Do You Suffer from a Money Disorder." Our very own Annemarie Connor, Region Governor, will be speaking on tips and tricks of money management. 2/25 Central Florida Engineer's Week Banquet http://www.cflengineersweek.com/photos/Eweek%20Flyer%202012.jpg CFL SWE has nominated 4 individuals for award and has sponsored a table at the event. 1/19 6pm-9pm: January Kick Off @ J. Alexander's check out event flier for more info!